Guess what? You have about two seconds to make a first impression online. So how do you optimize these precious two seconds so that your ideal reader or customer knows that they are in the right place? Your tagline! Your tagline is incredibly important and can make or break your blog. There are several things that a good tagline should have in order to tell your ideal avatar exactly what you do, how you can serve them, and why they should read and subscribe to your blog. So today, let’s chat all about how to choose a tagline for your blog. Think about this for a minute. 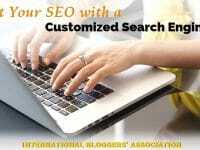 When someone is searching online, they are generally searching for a solution to a problem they have. Or, how do I add a custom Pin It button to my blog images? Your blog name will not necessarily tell the story of what your blog is really about. That is where your tagline comes in. Give your readers a sign! You need to give your readers a little bit of “show and tell.” Use that precious header real estate for all it’s worth! Let’s say you are searching for how to change a tire. You come to a site titled “Joe Shmo-For the Average Joe” (I made this up, it’s not an actual site). There is a post titled “How to change a tire.” Great, you found what you are looking for. Then you click off and never return! As a blogger, you don’t want this to happen to you. So how can you choose a tagline for your blog – to make sure you don’t end up like Joe Shmo? It’s simple really, create a tagline that tells the reader exactly what your site is about and how you can help them. The sad truth is, even if your content is awesome and you can provide an enormous amount of value to your readers, if they don’t know that your site is for them, it is unlikely that they will become subscribers or ever even come back to your site. My main blog just had its one-year blogaversary! While this was super exciting, there are some very important lessons that I learned from it. Lesson #1, my first (and second) tagline sucked. Why? Because it was far too vague. My first tagline was this: The Daily Change Jar: Creating financial independence one change at a time. I was trying to be cheeky while the whole “change” thing, play on words and such. But when someone landed on my site (before my massive redesign), it was very unclear what my blog was really about. The second tagline was: Empowering women to take control of their finances through frugal living and savvy side hustles. Now this one was much better, but still didn’t quite hit the nail on the head. After much research, looking at my analytics, figuring out what my audience really wanted, and creating a flagship product, I have landed on my third (and hopefully final) tagline. Here is my third (and current) tagline: Helping families save money through meal planning and frugal living tips. 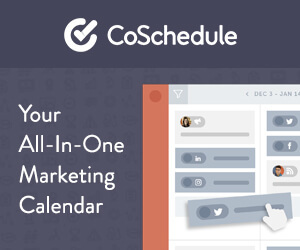 You see, my flagship product is a monthly meal planning service. Therefore, when someone is searching for something related to meal planning or how to save money by living frugally, they will know that they are in the right place! It’s probably going to take you a bit of time to get this whole tagline thing right. And that’s ok! Blogging is a learning process. I help___[do what]___so they can___. Or, [verb] [do what] [who/what/how]. Try to keep your tagline to 60 characters or less so that it will show up in search engine results. Allison from Wonderlass.com: I help overwhelmed entrepreneurs skip the fluff so they can create an online business fueled by passive income from digital products. And Marianne from Designyourblog.com: Learn to beautify your blog DIY-style. Stuck? Think about your funnel! I recently had an “ah-ha!” moment with my blog iand created my first paid product. There is one post on my blog that drives about 85% of my traffic each month and it’s all about frugal meals. So after blogging for a year on various money saving and making money topics, I narrowed my focus, created a sales funnel, and changed my tagline to reflect what I can offer my readers and subscribers. Think of your tagline as a big road sign on a highway with many, many lanes. You want your audience to follow your sign and start to drive in your lanes (blog posts, opt-ins, etc. ), then ultimately end up at the destination that you have chosen for them, your paid product. Now, if you don’t have a paid product yet, don’t panic. Your end goal for your readers at this point may just be to have them sign up for your mailing list. That’s ok! Your tagline will let your readers and subscribers know what you have to offer them. 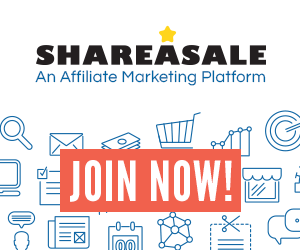 Then once you have created your paid product, you are then able to retarget them through your email list. 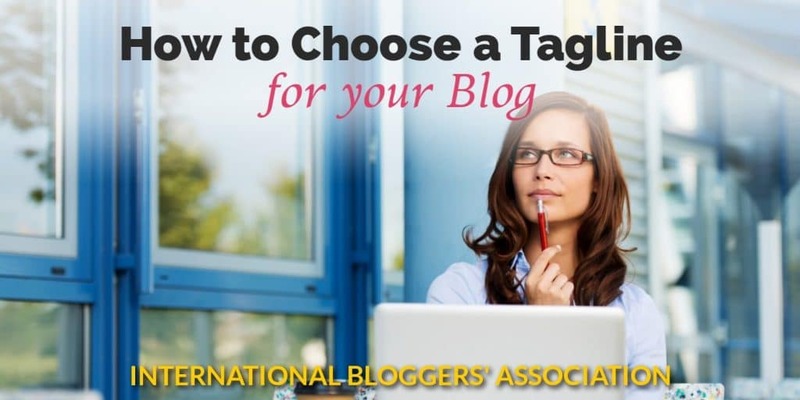 Do a bit of research and see what other bloggers use for their taglines. Proceed with caution, however! Some of the BIG bloggers have taglines that are not very descriptive because they have earned the right to be vague because everyone already knows what they do. Take Nike for example, although not a blog, the tagline of Just Do It doesn’t really say what Nike is all about if you had no clue what “it” was. So put some thought into your tagline, but don’t stress over it too much, remember, you can always change it as your blog evolves. This article was written by our very own Keegan Kraemer of TheDailyChangeJar.com. Be sure to help your family save more money, live more frugally, and eat better meals by checking out her website!